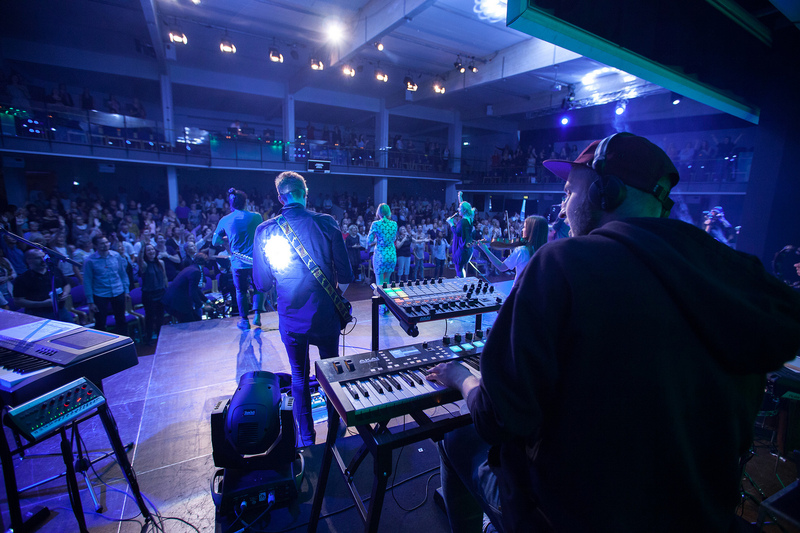 Pray for the believers in Copenhagen’s largest Pentecostal church, Kirken i Kulturcentret (The Church in the Culture Center) as they embark on a bold new plan to train their young people and reach out in the nation’s capital. During the congregational announcement, Pastor Tangstad laid out a wide-ranging plan to bring together everyone in the congregation into one worship time, strengthen systematic biblical training for young people, and re-emphasize small groups to help cross ethnic and language barriers. The ethnically diverse, urban church will also place a new emphasis on their evangelization and social outreach in the city. “I dream of the day when the police will tell us that we’ve made a difference,” he told the crowd, drawing extended applause. Pastor Tangstad said the scope of this new phase of training and outreach rivals anything they’ve experienced before, even comparing it to the original vision for Kirken i Kulturcentret. Their church was created in 1999 with the consolidation of four smaller congregations. Today the Norwegian-born Pastor Tangstad is calling for new vision, energy, and trust as they move ahead. So this fall, children will participate in what they call “Creative Lab,” while parents will begin their Sundays with Bible school, followed by a bilingual (Danish and English) worship service, with options for translation into up to eight different languages — including Thai, Spanish, Russian, and Arabic. A related Philippine congregation may continue meeting separately. A meal for all will follow. PRAY for the believers in Kirken i Kulturcentret, that they will catch a God-given vision to strengthen their young people and reach out to the community. PRAY for the resources they will need to expand and grow. PRAY for protection of Christians in Copenhagen as they reach across boundaries with the gospel of Jesus Christ. PRAY for Jarle Tangstad and his leadership team, that God will protect them and continue to give them a unity of vision. PRAY for many more to be introduced to Jesus through this church, and this strengthened outreach.